Heart failure (HF) is a clinical syndrome resulting from any structural or functional cardiac disorder that impairs the ability of the ventricle to fill with or eject blood to meet the metabolic requirement. Currently, there has been development of evidence-based treatments for HF, but HF is associated with high mortality rate, frequent hospitalizations and poor quality of life. Sacubitril/valsartan is a new class in pharmacologic therapies, combination of angiotensin receptor and neprilysin inhibitor termed ARNI. The active metabolite of sacubitril has an effect of neprilysin inhibition, which increases sodium and water excretion, dilates blood vessels and inhibits inappropriate cardiac remodeling. A large clinical trial has shown that sacubitril/valsartan is superior to enalapril in reducing the risk of death and hospitalizations for HF. Besides, American and European heart failure treatment guidelines addressed the drug as a class I recommendation in 2016. 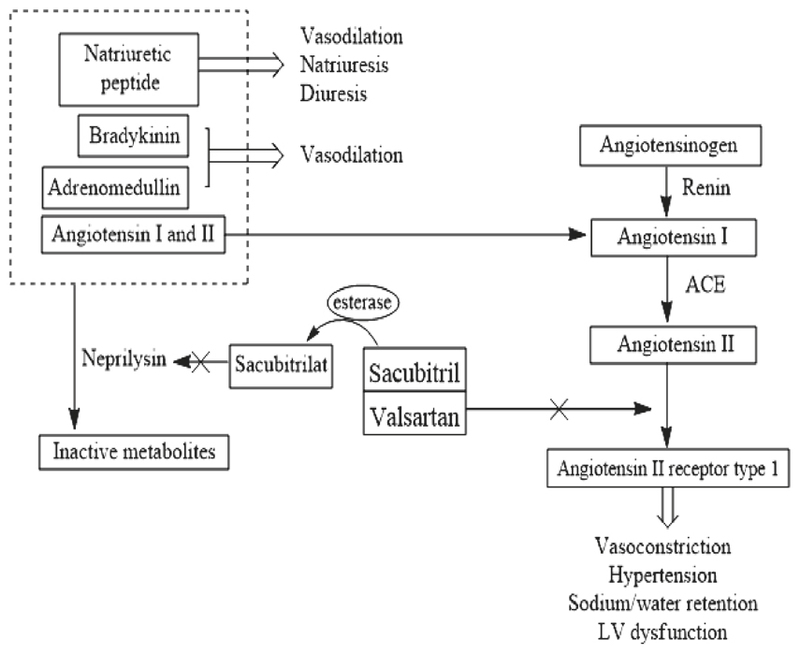 This review gives an introduction of sacubitril/valsartan for treatment of HF. 1.Yancy CW, Jessup M, Bozkurt B, et al: 2013 ACCF/AHA guideline for the management of heart failure: a report of the American College of Cardiology Foundation/Ameri- can Heart Association Task Force on Practice Guidelines. J Am Coll Cardiol. 2013 Oct 15;62(16):e147-239. 2. Ponikowski P, Voors AA, Anker SD, et al: 2016 ESC Guidelines for the diagnosis and treatment of acute and chronic heart failure: The Task Force for the diagnosis and treatment of acute and chronic heart failure of the European Society of Cardiology (ESC). Developed with the special contribution of the Heart Failure Association (HFA) of the ESC. Eur J Heart Fail. 2016 Aug;18(8):891-975. 3. Lloyd-Jones D, Adams RJ, Brown TM, et al: Heart dis- ease and stroke statistics--2010 update: a report from the American Heart Association. Circulation. 2010 Feb 23;121(7):e46-e215. doi: 10.1161. 4. Reyes EB, Ha JW, Firdaus I, et al: Heart failure across Asia: Same healthcare burden but differences in organiza- tion of care. Int J Cardiol. 2016 Nov 15;223:163-167. 5. Rajadurai J, Tse HF, Wang CH, et al: Understanding the Epidemiology of Heart Failure to Improve Management Practices: An Asia-Pacific Perspective. J Card Fail. 2017 Jan 19. pii: S1071-9164(17)30026-X. 6. Mann DL, Chakinala M. Heart Failure: Pathophysiology and Diagnosis. In: Kasper D, Fauci A, Hauser S, Longo D, Jameson J, Loscalzo J. eds. Harrison's Principles of In- ternal Medicine, 19e New York, NY: McGraw-Hill; 2014.http://accessmedicine.mhmedical.com/content.aspx?booki d=1130&sectionid=79742466. 7. Yancy CW, Jessup M, Bozkurt B, et al: 2016 ACC/AHA/ HFSA Focused Update on New Pharmacological Therapy for Heart Failure: An Update of the 2013 ACCF/AHA Guideline for the Management of Heart Failure: A Report of the American College of Cardiology/American Heart Association Task Force on Clinical Practice Guidelines and the Heart Failure Society of America. J Am Coll Car- diol. 2016 Sep 27;68(13):1476-88. 9. Kang G, Banerjee D: Neprilysin Inhibitors in Cardiovas- cular Disease. Curr Cardiol Rep. 2017 Feb;19(2):16. 10. Kaplinsky E: Changing the treatment of heart failure with reduced ejection fraction: clinical use of sacubitril-valsar- tan combination. J Geriatr Cardiol. 2016 Nov;13(11):914-923. 11. McMurray JJ, Packer M, Desai AS, et al: Angiotensin- neprilysin inhibition versus enalapril in heart failure. N Engl J Med. 2014 Sep 11;371(11):993-1004. 12. Gu J, Noe A, Chandra P, et al: Pharmacokinetics and pharmacodynamics of LCZ696, a novel dual-acting an- giotensin receptor-neprilysin inhibitor (ARNi). J Clin Pharmacol. 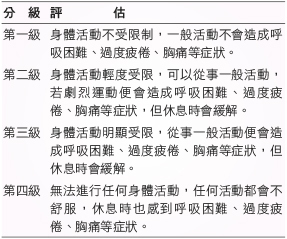 2010 Apr;50(4):401-14. 13. Campbell DJ: Long-term neprilysin inhibition - implica- tions for ARNIs. Nat Rev Cardiol. 2017 Mar;14(3):171-186.